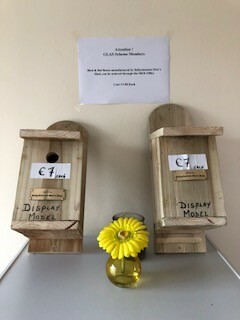 Bird and Bat boxes manufactured by Ballyshannon Men’s Shed can be ordered through the MED Partnership Office at a cost of €7.00 each. 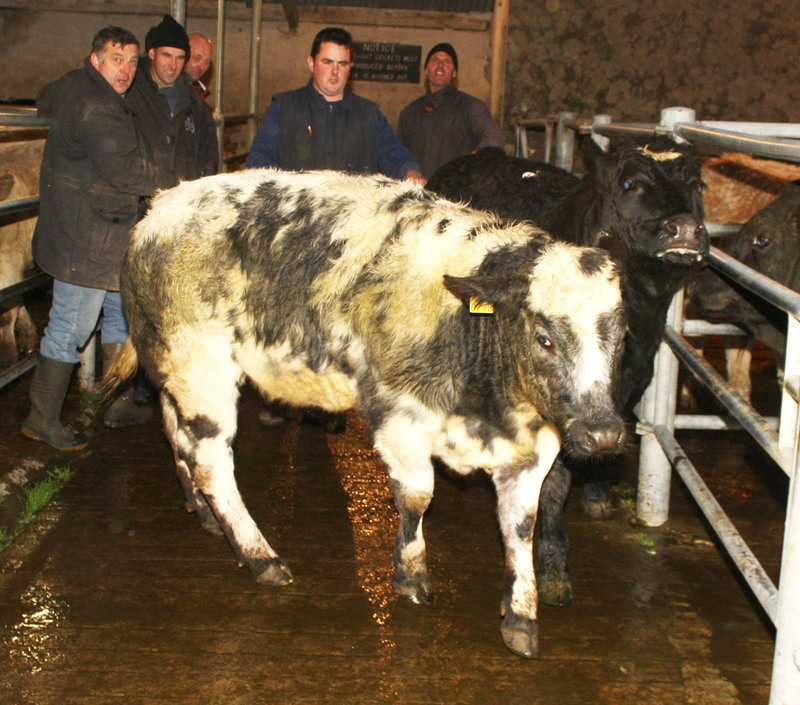 The Annual MED Autumn Cattle Sale took place on Tuesday, October 7th 2014, in Ballyshannon Mart. The mart which is under new management continues to go from strength to strength and prices were good on the night. A Partenaise heifer also took place. A full report on the sale will be published soon. The MED Annual Autumn Cattle Sale took place on Wednesday 02/10/2013 at 7.00pm. in Ballyshannon Mart. It was well supported by MED members. Get a Sale Report Here. Year eleven of the MED Partnership Group AI Scheme was launched in conjunction with the MED AGM on Tuesday 12th February in The Wark Hall, Belleek. Participation in the AI Scheme is limited to 50 Farms. Places are allocated on a first come basis. Applications for the scheme will close on 28th February 2013. Farmers from both sides of the border are eligible to participate in this scheme. MED Partnership Group would like to express their appreciation to the sponsors of this initiative in 2013, namely, The Charolais and Simmental Cattle Societies, Progressive Genetics & D.M. Auctions. 35 Straws “Rodin” – €uro-Star, 5 star rated both Terminal and Maternal with good reliabilities. Straw Numbers: RRZ 10, OZS 10, HCA 20, APZ 20, LZE 20,and ADX 20. Suitable for high muscled heifers. While not proven, great satisfaction with first crop of calves. Vavildi coming up with plenty of milk. ADX dam very balanced cow. Calving at 4.80% 92% rel. From a very powerful cow. Rated very high on French index for milk. French figures, milk 111, muscle 112, skeletal 105. Super with and depth with great hind quarters and very wide tops. Daughters are very good to calve. Top 2% of the breed on carcass weight. Daughters have plenty of milk. Four and a half stars for daughter calving and for daughter milk. Quote from a Wexford farmer “ You don’t have to pull them or skull them”. The MED Annual Autumn Cattle Sale took place on Wednesday, October 3rd, 2012. It was an evening sale. Numbers were down on 2011 for various reasons, but quality was much in evidence. Significantly an outbreak of Bovine TB in the MED region had an adverse effect on numbers due to quarantine restrictions. Calves achieved good prices on the night and MED members who attended the sale were happy with the prices achieved. Prices for Heifer Weanlings ranged from €440 to €1215 per head. Price for Bull Weanlings range from €650 to €1100 per head. 505kgs = €1215.00 Prize 30 euros. 490kgs = €1100.00 Prize 30 euros. The M.E.D. Group believe that there is a great need for quality suckling breeding stock in the area and as a result launched a pilot breeding project in the Spring of 2002 for thirty five farmers with support from the Charolais and Limousine Societies. Each farmer participating could avail of getting a maximum of six cows /heifers A.I `d with a suitable sire, the choice of sire was left to the farmer to choose with the help of their A.I. inseminator. A percentage of the insemination cost is been paid through the M.E.D group. Points to remember when selecting a dam for the purpose of having a quality weanling on the ground for replacement or beef animals:1. The dam should be of an R grade with a good wide, deep and long pelvis, have a good milk strain and have good motherly instinct.2. 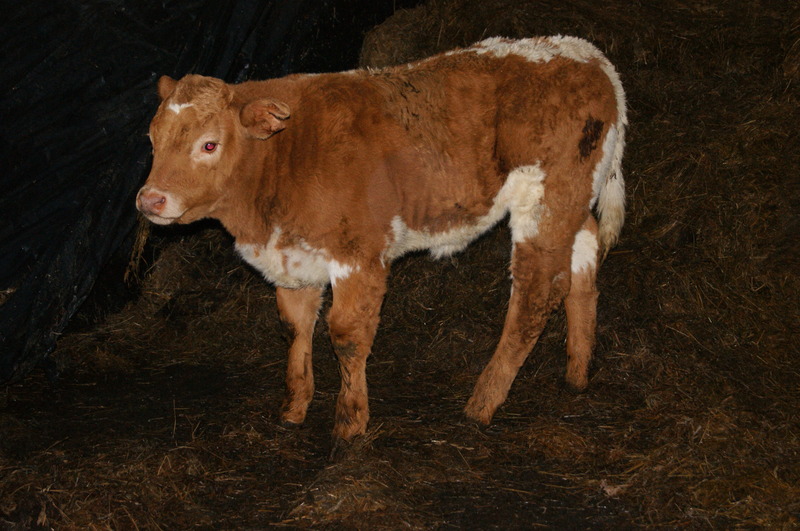 The sire may be of a suitable breed with good length, and rounded width should have good feet and stand well, also should have nice head and good spacing between the eyes.These farmers will be encouraged to retain the females for further breeding.Particpants in the scheme are encouraged to take part in the Skillnets training courses. An inaugural sale under the MED group quality cattle initiative took place on Wednesday 8th October . Over 50 AI bred weanlings were on offer from farmers in the MED group quality improvement scheme. 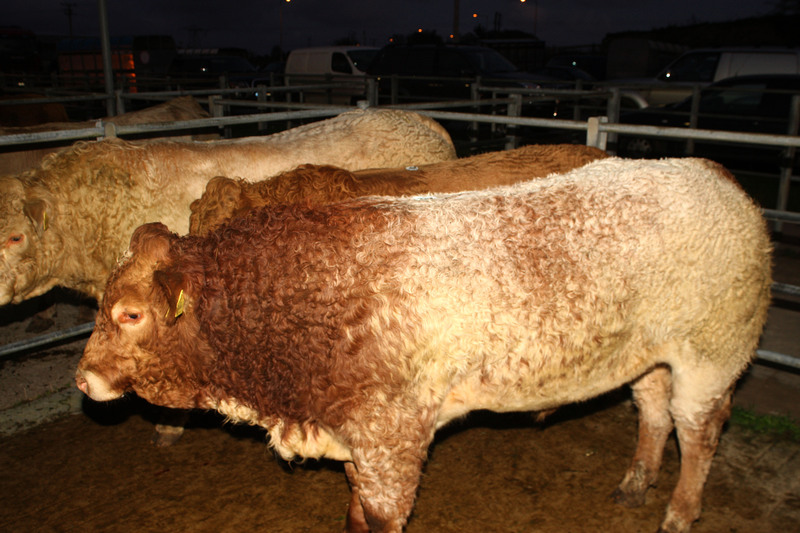 The sale took place in Ballyshannon Mart in conjunction with the special evening sale. The weanlings on offer were a selection of Bull Calves and Heifer Calves bred from AI Sires (inc) CF52 HTA CF57 LTG ORS EPI VDC. The weanlings were the progeny of the MED AI Pilot Cattle Improvement Scheme, which was launched in February 2002. The aim of the scheme is to encourage farmers to retain on farm their best female weanlings, especially those that have good maternal traits. These will be used as quality replacement stock for future breeding. MED Partnership, The Irish Charolaois and Limousine breed Societies have so far funded the project. Participating members selected their best breeding Cows/Heifers and served them with a suitable AI sire. The scheme is part of a 5-year plan, which is designed to improve Cattle quality in the MED Catchment Area – South Donegal, North Leitrim, North Sligo and South West Fermanagh. Through improving quality the farmer will ultimately improve the family farm income. The Project this year to date has targeted 60 farmers in the area, including 20 in South West Fermanagh. To date over 400 cows have been inseminated. Prizes will be awarded on the night for the highest price Heifer Calf and Bull Calf; 1st and 2nd to both purchasers and sellers. Year ten of the MED Partnership Group AI Scheme was launched on Tuesday 7th February in the Dorrian’s Imperial Hotel, Ballyshannon. Participation in the AI Scheme is limited to 50 Farms. Places are allocated on a first in basis. The scheme will close on 31st March. Farmers from both sides of the border can participate in this scheme. MED Partnership Group would like to express their appreciation to the sponsors of this initiative, namely, The Limousin, Charolais and Simmental Cattle Societies, DM Auctions & Progressive Genetics. The Limousin Bull available to members in 2012 is Urville. Urville is an outcross so this should avoid inbreeding. He has 5 star SBV (45% Rel) along with top ratings for both milk (16% Rel) and fertility (8% Rel). The Charolais Bull available in 2012 is RODIN, who comes highly recommended from the Irish Charolais Cattle Society. The Simmental Bulls available in 2012 are: Celtic Starbuck, Curaheen Vio, Hillcrest Sylvester, Sheestown Tsar, Bawney T Rex, Curaheen Tyson & Curahneen Wakeman. Six straws from each bull are available to MED (Total 42 Straws) and participants are urged to contact AI Technician Keith Mahon as a matter of urgency to reserve their first choice straws. Each participant can reserve two Simmental straws. Participants should contact their AI Technician and make arrangements for straw uptake. is currently being collated from participating farmers. Agriculture and food is one of the most important industries in this country. Farmers make up 6.9% of the workforce. When employment in inputs, processing and marketing is included, the agri-food sector accounts for 11% of people at work in Ireland. This sector accounts for 10.5% of GDP and its make up 8.5% share of exports. The economic fabric of rural areas centers on this industry. Raising its competitiveness would help maintain and generate job opportunities in the agriculture supply service including machinery, agric-chemicals, finance consultancy, publications and building. Although agriculture is not as important to rural areas today as it was in the past, the sheer number still involved in farming means that the primary objective of any rural development initiative should be to retain as many farm households as possible within countryside areas. Despite the much-vaunted “Celtic Tiger”, it is still farmers and their families who are largely responsible for keeping rural schools, shops, sports and social clubs going. The need to maintain a “critical mass” of people in a locality to sustain a vibrant rural community, which will also help solve the growing social /urban problem. The plight of the farmer in Ireland becomes apparent when you take their relative farm size into account. This becomes even more apparent in the Northwest where the land type in general does not lend itself to intensive farming. (ii) to improve the levels of training and education so as to maximise the benefit that any new technologies can be to that family farm. Family farms, which are part of the fabric of Irish agriculture, are under serious threat over the coming years. MED Partnership projects with emphasis on rural people, farming methods, training and education are crucial if change is to be brought about. This would secure the long-term viability of many family farm families in the area and also serve as a workable model for regenerating the rural economy. These projects could be adopted by policy makers both in Ireland and the EU who are striving to combat the effects of rural decline. The future for Irish beef lies in developing sustainable high value markets. This opportunity presents a major challenge to the National Suckler Herd . The key to successfully re-building these markets lies in understanding consumer needs. In the first instance it means that consumers must have confidence in the safety and integrity of our product, as most consumers tend to trust local products in preference to those imported. Quality assurance is necessary just to make it on to the shelf, never mind build sales and achieve a premium. Producer / processor partnership groups must be formed to supply advice on production to consumer specifications and safety protocols for success.